1. Crime Patrol presented on Sony TV Live is a show any crime show fan has to watch. Through the bringing to the scene different crimes incidents that have happened in the past with some, this show brings you to the situation of the victim and takes all your attention serving the best purpose a show can be made for. 2. Code Red is not your usual crime show. Providing social awareness and entertaining at the same time, the show, unlike others, does not just narrate crimes. It takes the viewer through the psyche of behind these crimes. The interesting part that catches viewers is the glimpse of what takes place in the minds of persons who have had no criminal records or background but change their behavioural patterns. Presented by “Crime patrol” the show team, the show explores and brings to light issues that have been unexplored as forbids till now. 3. CID Starring show stars Shivaji Satam, Aditya Srivastava and Dayanand Shetty, the location of Mumbai, compliments the crime setting. This is the longest running TV show in India, doing 19 years as at 2016. It is an investigative series which covers cases that are handled by the Crime Investigation Department. With the trio of officers being the starring, the show presents in an exciting way the solution to high-profile cases. 4. Adaalat meaning court in English is an Indian show featuring a courtroom setting, engaging drama compilation about a defense attorney, K.D. Pathak. In the first season, the show aired 431 episodes, becoming one of the most favorite TV shows among the viewers. 5. This Hindi version of Fox’s 24 is the first version of the show. Anil Kapoor plays the Jack Bauer’s role in the show. Set in Mumbai, the series presents the main setting of the Anti-Terrorist Unit as a replica of the one in the original series. 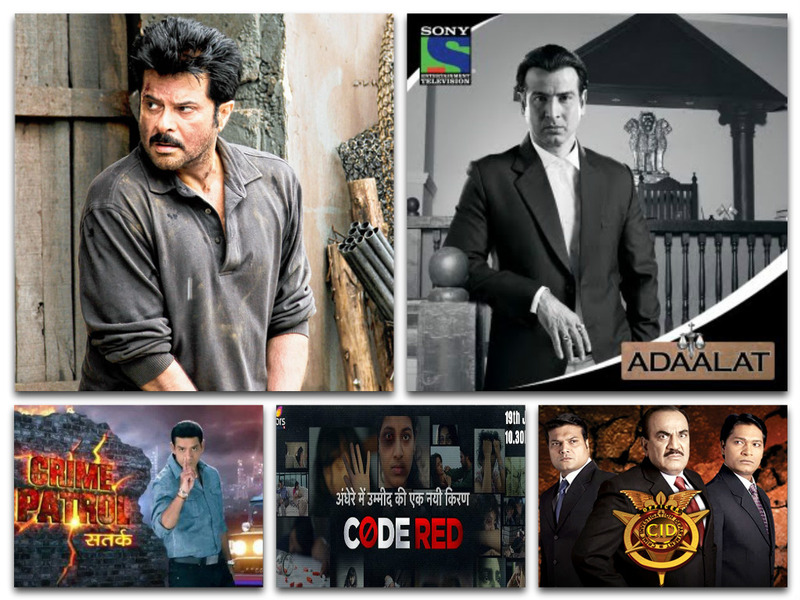 Several of these best shows are aired on Sony TV, Tolo TV(24), Colors TV (code red) and on many more Hindi TV Channels can be caught on the OTT giant YuppTV which offers more than 200 channels coming in different packages. There are also few other TV shows in Tamil and Malayalam named Koppiyam and Shesham which are quite popular and based on real-life crime stories.